After its latest false flag attack on the country's prime intelligence agency, the ISI, Geo has come under heavy fire from all sections of the Pakistani civil society not only on the social media but on-ground as well. What came as a pleaseant surprise was a firm stand against Geo taken by the patriotic elements in the Pakistani Media which have never been this vocal in the past. The blatant attacks based on fabrications and lies against the country's defenders seems to have angered the nation to such an extent that there seems to be no turning back. There are some startling reports that are circulating within the patriotic circles on the social media that are pointing out at some more disturbing facts against Geo. These might end up increasing the public anger against them even further. There are some reports that Mir Javed ur Rehman, the brother of Mir Shakeel ur Rehman, along with his mother Mrs Mahmooda Khalid are residing in Karachi in the old house of Mir Khalil ur Rehman. Both Brothers (Mir Javed and Mir Shakeel) had 30% shares each with their mother having 40% shares in Jang group. However later, being a dirty player that he is, Mir Shakeel got the shares of his mother transferred to himself through illegal means. Reports say that Mir Javed has filed a case against Mir Shakeel that he has transferred his mother's share to himself through fraudulent activities and forgery, without the consent of his mother. Report further states that Mir Shakeel's own mother is standing against him with his brother Mir Javed on this case. Seeing this report, it is no more hard to believe that a person who commits a fraud against his own mother, how can he be sincere to his country or to the nation? This fact is further reinforced by these reports that Jang group owes about Rs. 1 Billion to the National Bank of Pakistan which, upon demand, it has not only arrogantly refused to pay, but also threatened a blackmailing smear media campaign against the National Bank officials. 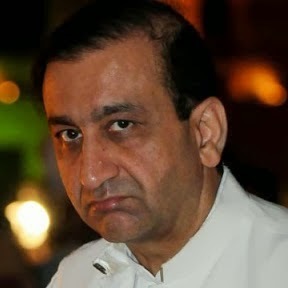 Moreover, Mir Shakeel owns no less than TWO mansions at Emirates Hill, Dubai which are worth no less than Rs. 50 Million each. He not only lives a royal life but also enjoys 2 Rolls Royce cars and a private jet. Interesting but horrifying to note here is that Jang group has successfully bought off important pawns in major Pakistani institutions who safeguards its illegal activities. Just like PEMRA, Supreme Court, Islamabad High Court and PTA, Mir Shakeel has some notorious FBR officers on his payroll who force FBR to stay mum on the fact that Jang Group is a tax defaulter of no less than Rs. 2.75 Billion. It is also ironic to note that majority of the high rate commercials being telecast on Geo are given to it by none other than the undisputed kings of corruption e.g., Malik Riaz, Mian Mansha and the Punjab Govt itself. However, the dark age of Media terrorism is about to be over. GEO is continuously losing its rating and the unbelievable has already happened. Dunyia, ARY and Samma have already taken over GEO! Seeing the public sentiments oozing out anger on social media against Geo, it is visible that Jang Group's days of corruption, terror and backstabbing of Pakistani State are numbered.